Ladies handkerchiefs There are 17 products. 6 Ladies handkerchiefs, 32x32 cm, 100% fine satin cotton, simply hemmed. 2 blue Ladies handkerchiefs with white satins lines, 2 pink Ladies handkerchiefs with white satins lines, and 2 yellow Ladies handkerchiefs with white satins lines. Price for 1 pack of 6 handkerchiefs. 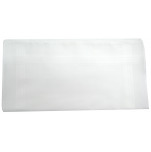 6 Ladies handkerchiefs, 32x32 cm, 100% fine satin cotton, simply hemmed. 2 white Ladies handkerchiefs with white, yellow and blue satins lines, 2 white Ladies handkerchiefs with white and pink satins lines, and 2 white Ladies handkerchiefs with yellow, white, gray and green satins lines. Price for 1 pack of 6 handkerchiefs. 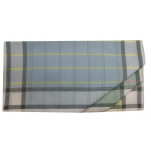 6 Ladies handkerchiefs, 32x32 cm, 100% cotton, large gingham, simply hemmed. 2 blue and white Ladies handkerchiefs with blue and white satins lines, 2 salmon and white Ladies handkerchiefs with pink and white satins lines, and 2 pink and white Ladies handkerchiefs with green and white satins lines. Price for 1 pack of 6 handkerchiefs. 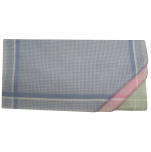 12 Ladies handkerchiefs, 32x32 cm, 100% cotton, large gingham, simply hemmed. 4 blue and white Ladies handkerchiefs with blue and white satins lines, 4 salmon and white Ladies handkerchiefs with pink and white satins lines, and 4 pink and white Ladies handkerchiefs with green and white satins lines. Price for 1 pack of 12 handkerchiefs. 6 Ladies handkerchiefs, 33x33 cm, 100% cotton, simply hemmed. 2 handkerchiefs of blue, light blue and mauve squares with white satin edge, 2 handkerchiefs of pink, green almond and green lagoon squares with white satin edge, and 2 handkerchiefs of yellow, light green and lagoon green squares with white satin edge. Price for 1 pack of 6 handkerchiefs. Handkerchief Lady, 100% cotton printed, with flowers beige and red on plum background 35x35 cm. Washable 60°C. Price for 1 pack of 12 handkerchiefs.